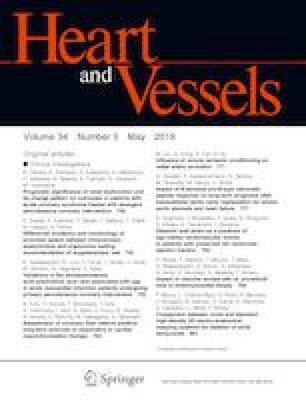 The subcutaneous implantable cardioverter-defibrillator (S-ICD) may provide comparable protection while avoiding the disadvantage of transvenous lead, but the abnormal features of the hypertrophic cardiomyopathy (HCM) electrocardiogram (ECG) make it a challenge for S-ICD template screening. We aimed to investigate S-ICD eligibility according to the S-ICD manufacturer’s surface ECG screening template in China, and further analyze its corresponding ineligible predicting factors in 12-lead suface ECG. A total of 179 HCM patients (114 males; mean age: 45 ± 14 years) underwent S-ICD screening at rest and on exercise, among which 91 patients (50.8%) were eligible for S-ICD. Among the patients who passed screening, 43 (47.3%) had 3 vectors eligibility; 64 (70.3%) screening qualified on both sides; 10 patients (11.0%) passed the screening while the electrodes located only on the left parasternal line versus 17 patients (18.7%) moved to the right line. The secondary sensing vector (Lead III) was mostly appropriate (53.6%), followed by the primary sensing vector (lead II, 53.1%) and the alternate sensing vector (Lead I, 46.9%). Higher R wave was the major cause, accounted for 70.5%, for screening failure. There existed significant difference in T wave in lead II, aVF, V5 and V6, adds R/T ratio in lead V5 and V6, between the screening success group (group A) and screening failure group (group B) at rest and on exercise. A multivariable logistic regression analysis was performed to identify that R/T ≤ 3.5 in lead V5 was the independent factor to predict the screening ineligibility, with odds ratio 3.648. S-ICD screening success is 50.8% in HCM patients, which is much lower than that in other studies. R/T ≤ 3.5 in lead V5 in 12-lead surface ECG was an independent predicting factor for screening failure. Lanyan Guo, Minxia Zhang and Miaoyang Hu contributed equally to this work. We specifically thank Professor Changsheng Chen for his guidance and support mainly in statistical analysis.